The best way to learn most anything worth doing is to do it.The hardest lessons seem to come naturally to a few of us, but not to me. Patience is more than a virtue, it is often a necessity. Parks is a few years older than my 58 years, but he seemed to use the fly, the rod and the natural laws of the universe to let the hard work takes it’s own course. He never seemed frustrated or flustered. He placed the fly exactly where it was supposed to be quite effortlessly. He kept saying, kindly and graciously, “just let the line and the rod do the work – and count 1 Mississippi, 2 Mississippi and then let it drop right where you want it to be.” After several hours, I still found this to be a challenge. In reflection, this seems to be what keeps me in a mess. As I head into a new year, I think the Lord placed this lesson in front of me with great intentionality. The universe isn’t conspiring against you or me, but we might all need to learn this lesson of patience. It’ll keep you in the river, and out of the trees. We all need a coach at some point. I have sought coaching in several areas of my life, and will continue to seek coaching. It is an essential part of life and leadership. There are times when I need a coach to “grab me by the face mask” and there are times that I need a coach to “slap me on the back” with a attaboy kinda thing. My point is that what Parks Davis offered me was the best kind of coaching. He offered the gift of friendship when there was not a single thing that I offered in return. 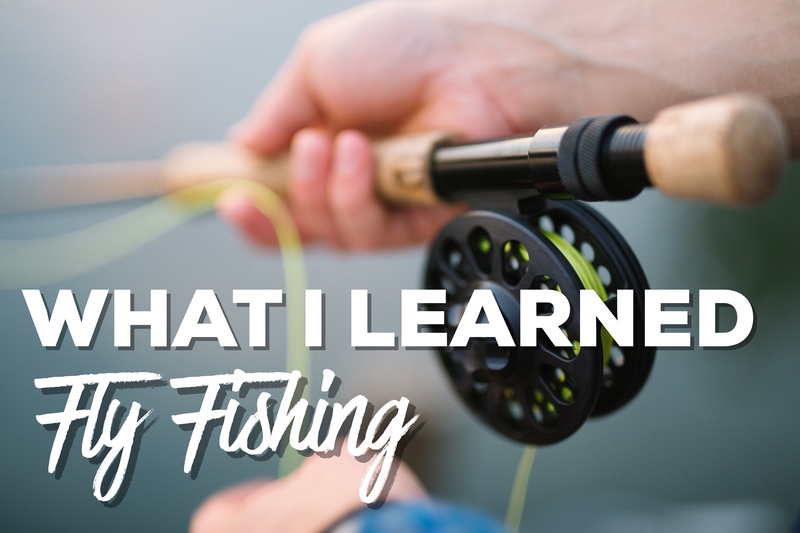 He offered far more to me than learning to fly fish. He offered me the kind of patience and graciousness that will make me a better husband, a better father, grandfather and pastor. When you seek to grow as a follower of Christ, as a leader, and as a student, the Divine might very well place the coach right in front of you. The question will be, are you willing to be coached? As we step into this new year, let us all welcome the coaching that the Divine sets before us. Let us commit to being coached up as we are developing the gifts and skills that He has entrusted to us. And may we all strive to also being a coach. Everybody can encourage somebody. Let 2018 be about far more than “what’s in it for me.” Let it be filled with the kindness, patience, graciousness, and Christlike attitudes that I experienced with Parks Davis. I can’t wait to get back in the river. And yes, we did catch a few fish!